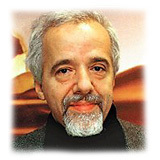 Paulo Coelho is currently retracing his pilgrimage of 20 years ago, and he writes about it in his blog - Walking the Path. Here is a link to the blog and the current posting. At Puente de la Reina I held my first autograph afternoon without any “official planning”, and since then I have managed to combine some organized meetings with other absolutely spontaneous ones. All these autograph-afternoons were followed by parties where together we commemorated the meaning that the path holds: encounters. To commemorate, celebrate, discuss, dance, and respect the mystery of life, but at the same time to understand that we are not alone in this mystery and that we need to share our enchantment with other people who understand our way of thinking.